Kuala Lumpur, Malaysia - October 16, 2018 /MarketersMedia/ — On 13th-14th October, Monspace had its “Persevere and Shine” 4th anniversary celebration at the Malaysian International Trade Exhibition Centre (MITEC). Shareholders, clients, regional leaders, users and colleagues from around the world gathered to commemorate this special event, sharing in the joy of Monspace’s journey. 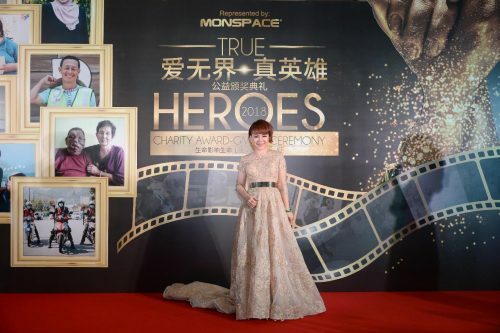 This anniversary is special, for Monspace also hosted the “2018 True Heroes Charity Award” to pay tribute to unsung heroes who perform acts of kindness in silence. Through the award, Monspace wishes to encourage more people to do good, and remind people that no act of kindness is too small. Using ordinary people, we want to spread kindness throughout the nation, making Malaysia a more caring place. “The motto of Monspace has always been ‘life inspiring life’, and the “2018 True Heroes Charity Award” is precisely an embodiment of this spirit. It is meant to promote more care and attention towards the underserved in our society, creating more love and hope for all,” said founder and CEO of Monspace Dato’ Sri Jessy Lai. The inaugural True Heroes Charity Award saw 100 nominations vying for 5 awards: the cultural inheritance award, kind angel award, silent contribution award, life caring award, and frontline heroes award. A total of 9 nominees were finally made winners. The cultural inheritance award was given to Teh Beng Huat, Malaysia’s national treasure and badminton coach, the man behind Dato’ Lee Chong Wei; and Rahimah Tumpang, a preserver of Malay traditional houses. The kind angel award was given to Norashikin Ahmad, founder of an animal shelter and firm believer that all lives are equal. The silent contribution award was given to Ms. Chong Xue Zhu who has donated blood more than 100 times, and Ng Kim Mei who repairs pot holes on the road. The life caring award was given to Ms Chong Hong Ji who cares for leprosy patients, and Khor Tai Di the mother who persist on giving her child the best care despite their facial tumours. The frontline heroes award was given to Tan Chin Long, a man from Penang who prevents suicides, and the Georgetown emergency respond team. The award given at the 2018 True Heroes Charity Award-giving Ceremony also had very special meaning to it. To thank these unsung heroes, Dato’ Sri Jessy Lai made them awards out of the sculpture of her hands. Each award is unique, to represent that each hero is irreplaceable. The hand sculpture forms a heart shape, symbolising that love knows no boundaries, echoing the sentiment of the award-giving ceremony. The gold colour of the award symbolises the light of their kindness and bravery, the qualities of a true hero. Maria Cordero is also the singer of the ceremony’s theme song, “True Heroes”. It’s worth mentioning that the brother of Dato Lee Chong Wei himself handed over the “cultural inheritance” award to his brother’s coach, to thank him for the selfless nurturing over the years, making him who he is today. The 2018 True Heroes Award Ceremony ended on a high note. All award recipients share the sentiment that acts of kindness shouldn’t be affected by it’s magnitude, race, religion, and skin tone. The purpose of love is only to help any life that is in need. Through their stories, they’d like to encourage more people to be kind, and show care for the society. By uniting Malaysians, we can bring much more positive energy to the nation! “I want to thank all the VIPs who made time to attend tonight’s event. I would like to once again say thanks to all the award recipients for the great work they have done. Their stories are worth sharing, and I hope the younger generation learns to be like them!” said Lai during her appreciation speech.